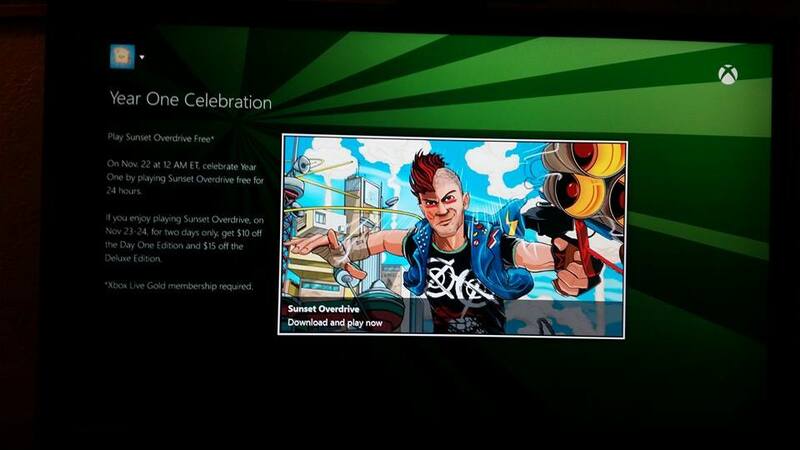 Microsoft is letting all Xbox Live Gold members on the Xbox One download and play Sunset Overdrive for free for 24 hours (Nov 22). If you like the game you can purchase it for $10 off this weekend only. Sunset Overdrive is an absolute blast and a refreshing new type of shooter with an entertaining story and enjoyable characters. I definitely recommend checking it out and playing through a good junk of a great game for free today. All progress will be saved so you continue right where you left off if you purchase the game in the future. It’s worth noting that this is not a demo, but the entire game, and you can also unlock achievements while playing! This entry was posted in Video Games and tagged free, gameplay, Sunset Overdrive, sunset overdrive free, video games, Xbox, Xbox Live, Xbox One. Bookmark the permalink.